In my last post, I lamented the rise of nationalism, and discussed communities that try to “protect their own interests” and end up turning a cold shoulder to people in need who live just a few hours away, while alienating members of their own community who do not agree with them. As always, my experience is that the Universe is gracious and loving, and this week I got some invitations to dream a NEW dream. Apparently, other like minded people around the world have also seen that this rise of nationalism is unfriendly, short-sighted and not at all effective in the long run. Since some of these invitations were written with exactly the same words I would have chosen to use, I am quoting them verbatim, just as they were sent to me. I regret not being able to fly to attend these early grassroots meetings, but it is ski season in Colorado and for us, ski season was very short this year. “The Art and the Politics of Collectivity. In a world in which we find ourselves more and more connected as a result of the internet and social networking websites, what happens to our sense of collectivity? “We need to dream a new dream and look at the practices and possibilities of creating permeable, global communities based on inclusion, safety and interconnection. We all need clean air to breathe, water to drink and food to eat. We all want to love and be loved. Everything we have comes to us as a gift from the earth, the air, water and the fiery sun, the basic building blocks of life itself. These elements have been given freely to the commons, in spite of people’s beliefs that they can own them for themselves…. They keep us small and separate. They rob us of our authentic self-expression and the ability to recognize our selves in others, and by so doing we kill any possibility of true compassion and real connection. Suppressing our fears only hides them, depletes our health and energy and ruins our lives. It keeps us small and weak. We miss the true value of fear as an opening or portal to our own growth and evolution as planetary beings. Fear is at the heart of all soul (essence) loss and leads to dissociation from the fullness of our being. Perhaps it is also the source of our separation and suffering. It may also be our opportunity for transformation and living a life we love. Fear is a road sign that tells us that we are approaching truth! When we embrace our fears as they arise, moment to moment, and love them with all our heart, it opens us, brings us home and teaches us what we have in common with others. Fear teaches us to embrace our own shadow, instead of projecting our judgment, fears and strongly held opinions on others. Our global diversity is our strength. By learning to focus our listening on our commonalities instead of our differences we move closer to that which we fear and open up the possibility of real connection with others. The more we separate ourselves from each other the weaker and more vulnerable we become…. So the first step in creating inclusive communities is to explore our own fears. One way to do that is to intentionally set out to meet with people who have opposing beliefs to yours, to open our hearts to those people who we point our fingers at as the source of the problems in today’s world. Find them, engage them and listen for how you are related, what are your common interests, how can we build a bridge between their heart and yours. You can always agree to disagree, but when there is more understanding and compassion towards the sacred other, you are less likely to kill, segregate or create more anger, fearfulness and hostility. “The world is getting too small for both an Us and a Them. Us and Them have become co-dependent, intertwined, fixed to one another. We have no separate fates, but are bound together in one. that teach us what it is that we’re holding back. They teach us to perk up and lean in when we feel we’d rather collapse and back away. They’re like messengers that show us, with terrifying clarity, exactly where we’re stuck. “It is possible that the next Buddha will not take the form of an individual. On a more personal note…..It is ski season in Colorado, and the Rocky Mountains are covered with snow. We have a 60 inch thick base of snow in the mid mountains of Vail and Beaver Creek ski resorts. Skiing down steep, black diamond slopes is such a rush of excitement. I can feel the thrill of the speed in my heart, as I make my way down the long, wide slopes. Like the spiritual path, skiing is a journey of constantly challenging myself, overcoming unrealistic fears, and working to improve. I feel that I might never be a GREAT skier, but it feels so wonderful to just constantly play and improve… and on runs when I get it right…. boy, it feels like bliss…. It is so much fun to play outdoors in the snow, surrounded by some of the tallest, most beautiful mountains in North America. Vistas of white mountain peaks stretch before me, and the quiet permeates and calms my soul. The joy of skiing, of course, is not only about cutting through powdery snow or running down beautifully groomed runs, it is also about the food, the colorful alpine villages and the people. 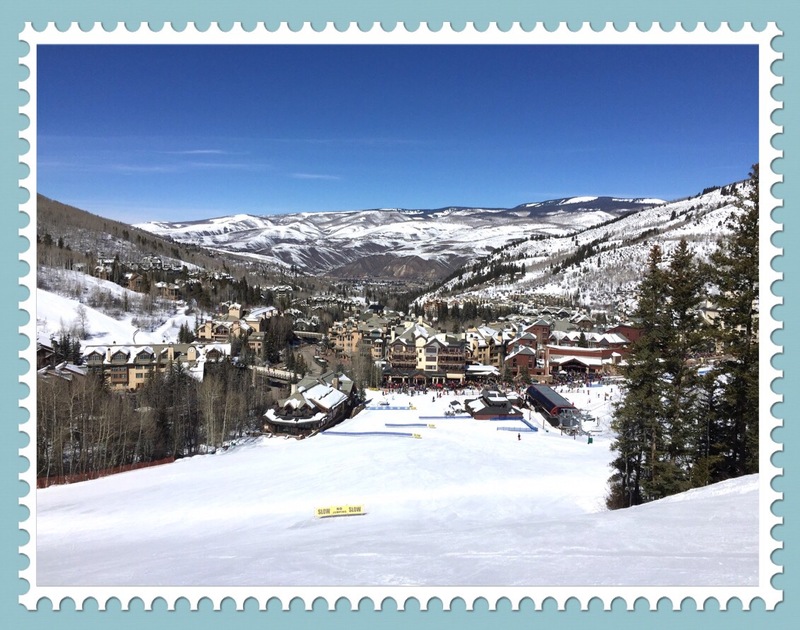 On the day of my sister’s birthday, we went skiing in Beaver Creek. Not a single person refused my request. In fact, they all seemed more than happy to help. It was so nice to send her the unedited birthday video, with some of the people who wished her a happy birthday.